A very happy client who now has one of the most contemporary sites in her industry. 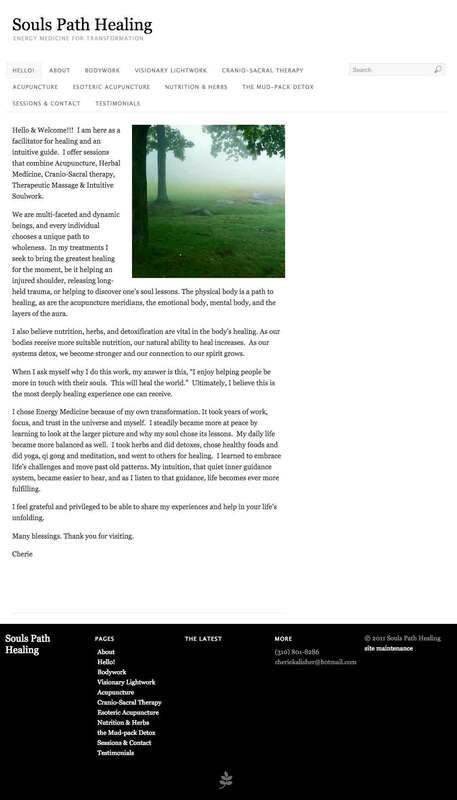 This client came to me with an old website that she had created from a basic WordPress theme. She wanted an original design at a low price and I was able to accommodate that request by utilizing my base WordPress theme and working with her to make some basic choices about styling. First I did some industry research to determine current web trends in her field. 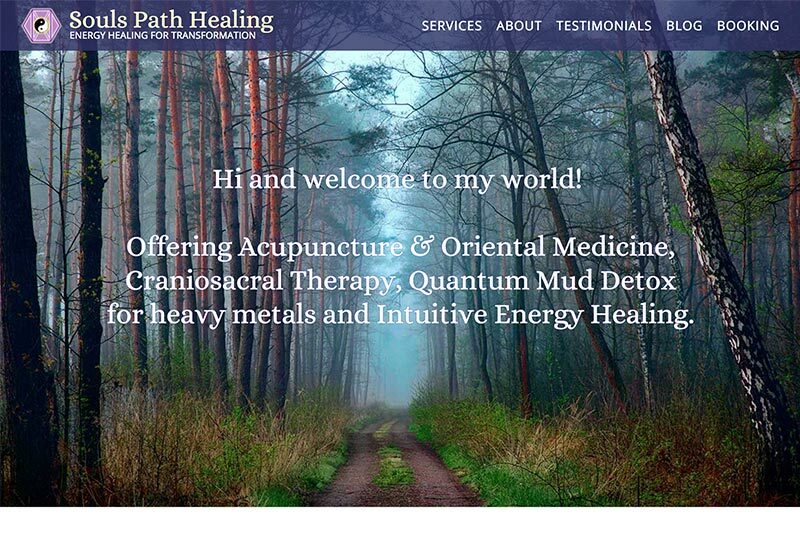 I quickly determined that most websites within the field of natural medicine are outdated, not responsive, and designed in ways that don’t effectively market those services. Next, using the basic layout of my base WordPress theme, I spend some time with the client determining the character of her site. She wanted it to be light and friendly and reflect a bit of her unique personality. No single element does this better than the open featured tier on the homepage which has a weightless feel while characterizing her service and inviting contact. This site is one of the most perfectly responsive sites I’ve built, which can be seen if you increase the zoom of your browser leading to a perfect representation of the mobile states of the site. This was done without a framework and only media queries. The client is extremely happy with her new site and I consider it one of my best pieces of work so far.